Alice follows her cat and dog down the rabbit hole and arrives in...the land of idioms! And a crazy place it is. All the familiar Wonderland characters -- the White Rabbits, Tweedledee and Tweedledum, the Mad Hatter and March Hare, the Cheshire Cat, the King and Queen of Hearts -- are there to share their kooky wisdom as they help Alice and her pets navigate the mysterious world of the English language. 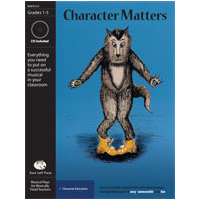 Alice’s Adventures with Idioms is a curriculum-packed introduction to figurative language, focusing on idioms and similes (with appearances by metaphors and alliteration). 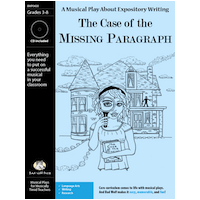 Over 150 common idioms and similes are included in the songs and dialogue of this show! (Click on the "Standards & Vocabulary" tab above for the full list.) 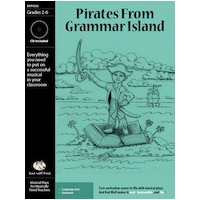 In addition to exploring the meanings of specific expressions, students will understand the difference between literal and metaphorical language and learn that idioms have a historical basis. 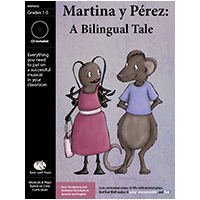 Great for native speakers as well as English Language Learners! 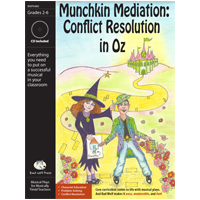 Alice's Adventures with Idioms is a great complement to your curriculum resources in language arts. 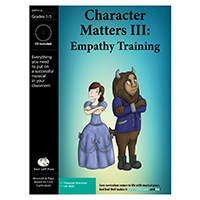 And, like all of our plays, this show can be used to improve reading, vocabulary, reading comprehension, performance and music skills, class camaraderie and teamwork, and numerous social skills (read about it!) -- all while enabling students to be part of a truly fun and creative experience they will never forget! From 11-40 students. Use as many White Rabbits, Caterpillars, Prosecutors, etc. in each scene as desired. 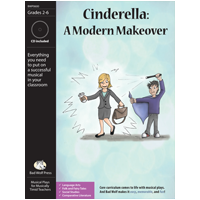 One student can easily play several roles if needed, and individual roles can be doubled up. The larger speaking parts of Alice, Dinah, and Micah can be further divided into additional parts (add a friend for Alice or a few more pets). Note that all roles can be played by either boys or girls. It's Alice's Adventures with Idioms. We've got phrases like "a piece of cake"
And "break the ice" and "hold the phone"
We're killing two birds with one stone. ONE STUDENT (spoken to audience): Not really. It's just an idiom. Here's Alice's Adventures with Idioms. SISTER (from off stage): Alice, don't get too close to the river. And try to keep the cat and dog from jumping in. They smell horrible when they get wet. Especially the dog. ALICE (to pets): My sister is such a worrier. What could happen to us on such a fine summer day? Let's have our sandwiches. Of course, cats and dogs don't like sandwiches, so I'll eat yours for you. RABBIT #1 (looking at watch): Oh dear, oh dear! We're late! RABBIT #2: The Duchess! The Duchess! She's waiting for us! RABBIT #3: Oh my fur and whiskers! We can NOT be late! ALICE (standing up): Dinah! Micah! Look! THIS is very curious! Three white rabbits. With pocket watches. RABBIT #1: Oh dear. We'll be thrown to the wolves. RABBIT #2: Sorry, no time, no time! RABBIT #3: We're not crying wolf! We're sitting ducks, no doubt. If we're not on time she'll have a cow. Yeah, when pigs can fly. Oh no we can't be late. She's gonna get our goat. ALICE (shouting at her pets): Dinah! Micah! NO! You get back here this instant! I am NOT going down this filthy rabbit hole to fetch you. TWEEDLEDUM (to ALICE): There's no need to yell your head off. TWEELEDEE: Unless you're already out of your head. ALICE (startled, looking up from the hole): Oh! Who are you? TWEEDLEDEE: And I'm Tweedledee. But you should keep that under your hat. ALICE: What should I keep under my hat? TWEEDLEDUM: Your head, of course. ALICE: You seem to be full of uncommon nonsense. TWEEDLEDEE (turning to go): Perhaps we should head off. ALICE: No, please wait. Did you happen to see my dog and cat? They just chased three talking rabbits down this rabbit hole. TWEEDLEDEE: Yep. They've gone to the land of idioms. TWEEDLEDUM: The land of idioms. ALICE: I'm afraid that went right over my head. TWEEDLEDEE and TWEEDLEDUM (delighted): Exactly! ALICE: Exactly WHAT? You two are very odd. My point is, I'm wondering if I should go down the rabbit hole as well. TWEEDLEDEE: Well of course you must go DOWN the rabbit hole. TWEEDLEDUM: You can't very well go UP the rabbit hole! TWEEDLEDEE: And going ACROSS it or BEYOND it would be of no use whatsoever. ALICE: What do prepositions have to do with anything? Down, down, down that is your goal. It's down, down, down the rabbit hole. Sitting on the fence or been around the block. DINAH: I TOLD you this was a strange place. Play it cool, I said. Don't do anything rash, I said. We're down a rabbit hole in some weird land, I said. But NOOO. You had to drink the potion. MICAH: But Dinah, it said "Drink Me." Right there on the bottle. DINAH (disgusted): You're such a DOG. It made you grow to be 10 feet tall. MICAH: Did you see the size of my tail? It could level forests! DINAH: And after that, you went ahead and ate the piece of cake! Where's the learning curve? MICAH: Hey, I'm a DOG. It said "Eat Me." And it was cake! Besides, you ate some too. DINAH: That's because you shrank down to three inches, and the one door in the place was three inches tall. It was the only way out. But now what are we going to do, Micah? MICAH: Let's look for some more food that tells us what to do. DINAH: Let's NOT. I HATE being so tiny. It reduces the impact of my feline aloofness. CATERPILLAR #1: I think three inches is the perfect size. CATERPILLAR #2: It's a very good height indeed. DINAH: Well, we are not used to it. Who are YOU? CATERPILLAR #3: We're caterpillars, and we live under that mushroom over there. CATERPILLAR #1: If you want to return to your regular size, you will need to nibble on the mushroom. DINAH: Well, that is the best advice we've heard since we got here, hands down. MICAH: Whoa! What happened? My paws are stuck. CATERPILLAR #2 (snapping fingers, which releases DINAH and MICAH): You must be very careful what you say in this part of the forest. Idioms are taken quite literally. CATERPILLAR #1: Expressions. You know, common phrases that mean something different from what the individual words say. CATERPILLAR #3: Most of the time we speak in literal words. For example, when you say, "I like being three inches tall," you mean exactly that. It IS the perfect size, after all. CATERPILLAR #2: But idioms work differently. They're figurative rather than literal. CATERPILLAR #3: NO! Bad things happen when we demonstrate! CATERPILLAR #2: Come on, we're best friends. You could even say we're...joined at the hip? CATERPILLAR #1: See what happened there? What he meant was that they are such good friends that they are always together. But you can't use those kinds of expressions here. In this forest, everything becomes literal. DINAH: You hear that, Micah? You'd better speak carefully. Being stuck to you for even ten seconds would ruin my reputation forever! MICAH: Mine too! We need to hold our tongues. DINAH (unintelligible): Thee uh ooo eh? CATERPILLAR #3 (to DINAH): What's the matter -- cat got your tongue? CATERPILLAR #1 (giving high five to #3): That one never gets old. CATERPILLAR #2 (snapping fingers, which releases DINAH and MICAH): You must pay better attention. Cat. Dog. We don't always see eye to eye. CATERPILLAR #3 (snapping fingers, releasing THEM): Are you listening? Song 4 - Listen to a clip now! Don't pull somebody's leg or lend someone a hand. And try hard not to get under somebody's skin. If you say "smarty pants"
Your pants will get an A. And please don't cry your eyes out 'cause that always stains. 'Cause soon your nostrils will become an ATM. 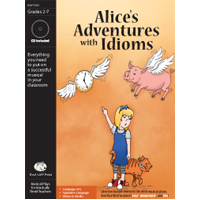 Alice's Adventures with Idioms was developed specifically to teach the Common Core Language Standards. jazz (= "kind of stuff") "land of milk and honey" croquet "raving mad"